Oilgun, you'll be happy to hear (if you haven't already) that Heath's last film will be shown at the Toronto Film Festival (next month, I think). I'll totally see the movie. And I feel like I understand Terry Gilliam's motives, and even have compassion for him. But I wish he could have taken a higher road. Thanks, I read that this morning. It's one of the Gala films for which tickets can be more difficult to get, but I'll try. Next month? Wow. If you see it, you'll have to let us know how you liked it! Thank you for posting the trailer. It actually looks very cool! But my heart truly did seize up a little when Johnny Depp in Heath's character's get-up declares there at the end; - "nothing's permanent, not even death!" It's a strangely tragi-ironic comment to the reason why Depp is in the film at all. Which Gilliam knows all to well, of course - that has to be why it's included as the trailer's spoken punchline. Oh I don't know about that, Mikaela. It says in the beginning how Dr. Parnassus bargained with the devil for Immortality. It totally makes sense with the plot. 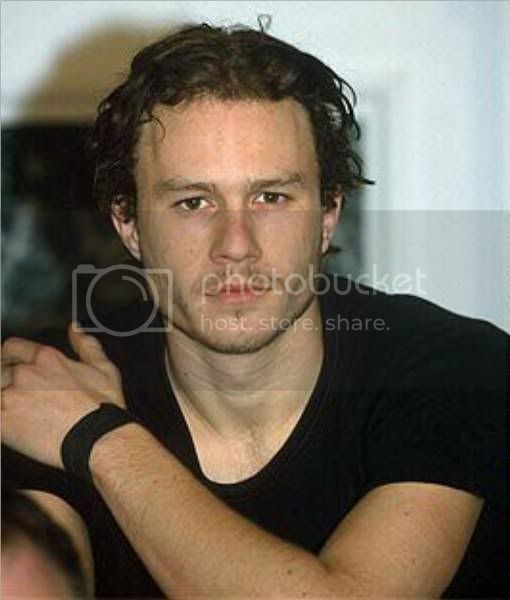 I think it's a sensitivity thing for us, who are particular fans of Heath and all. It would be like saying The Dark Knight was attempting the same thing with the "You either die a hero..." line. Mikaela, exactly what I was about to post on too.